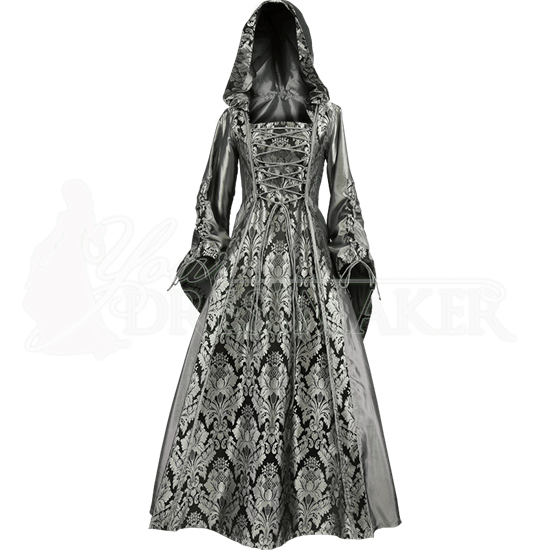 The Silver with Black Alluring Damsel Dress with Hood has an air of both elegance and mystery. 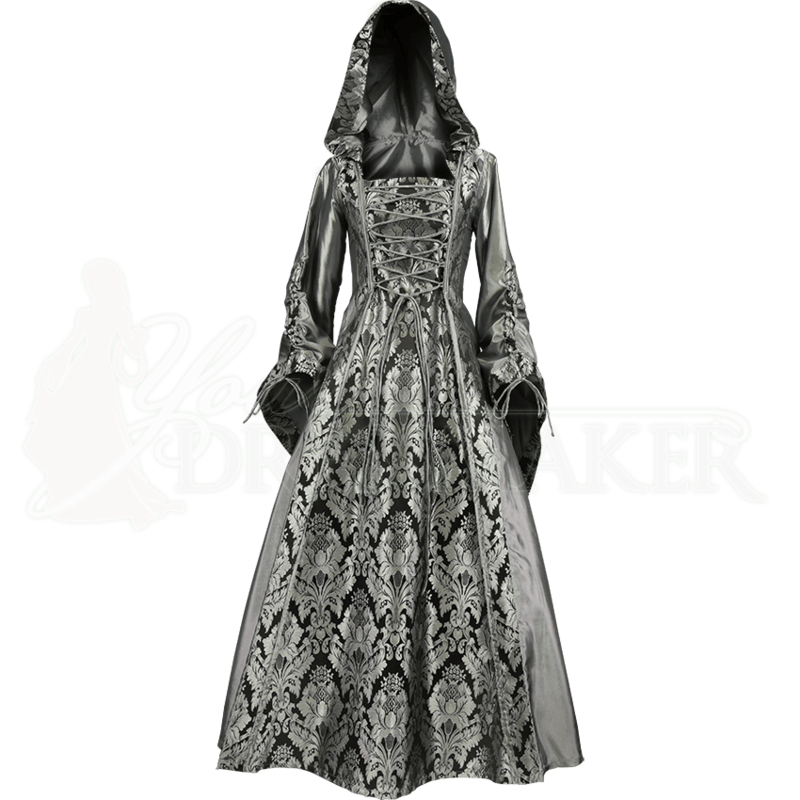 This hooded Renaissance gown is made of smooth, silver taffeta and accented with beautiful brocade in a silver and black damask pattern. The roomy, liripipe hood ends in a point, and its edges are trimmed with brocade. Adjustable via integrated drawstrings, the flared sleeves also feature brocade along their edges. Lacing over the front brocade accent panel and at the back of the gown provides the perfect, adjustable fit. Present yourself with stylish flair when you wear this long sleeve Renaissance gown at your next medieval event, Renaissance faire, costume ball, or other special occasion.